This program is designed for children (ages 0-6 years) who are struggling in an area of development. 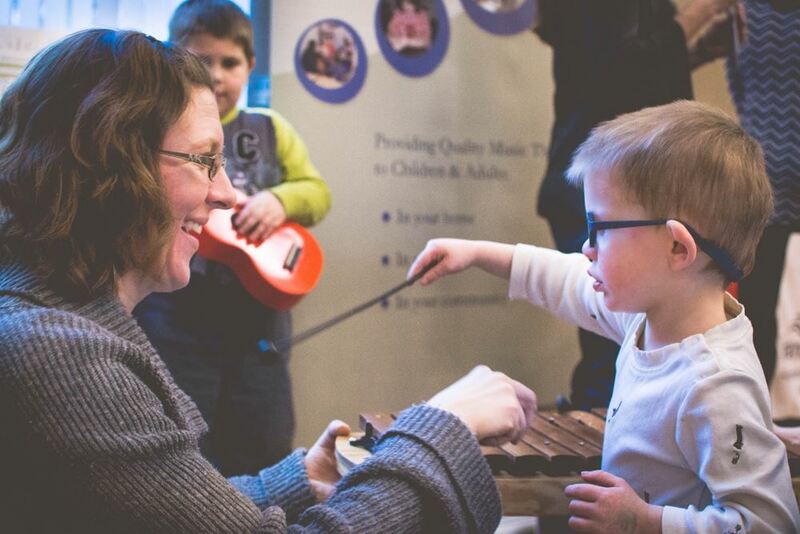 Join us for a hands-on program designed to teach families how to use music to improve their child's motor, communication and social skills as well as behavior. This program is led by a Board-Certified Music Therapist. Music Therapy & More welcomes children of all abilities. Some children can’t sit for any/all of the 30 minutes - they can explore the room! Some children have limited language - adults can model singing and language for them! Some children have limited motor skills - caregivers can physically assist their child! The music therapist will help guide you during the session! Siblings (ages 0-6 years) may also attend but must register separately. Siblings: Siblings (ages 0-6 years) are welcome but must register separately. If you have a child outside of the targeted age range (0-6 years) please call 440-570-5908 or email info@connectingforkids.org. Families may only attend one session of Music Therapy & More per month. Children who struggle with new experiences may benefit from our free Music Therapy & More social story. To use, download the file and print or view on any device that supports PDF viewing. Sessions: Fridays, 9:30 and 10:30 a.m. and Saturdays, 9:30 and 10:30 a.m. Please note: Families may only attend one session per month. For more information, visit connectingforkids.org/music. This program is designed for families and their children (ages 0-6 years) who are struggling in an area of development. Siblings (ages 0-6 years) may also attend but must register separately.